olar panel (PV) is a device which can convert energy from light energy (proton) to electrical energy. Each panel is rated by its DC output power. Currently the best commercial solar panel (PV) efficiency is around 17.4%. Solar panels are normally 12V DC output. In large solar panel 24V or 48V DC output also seen. 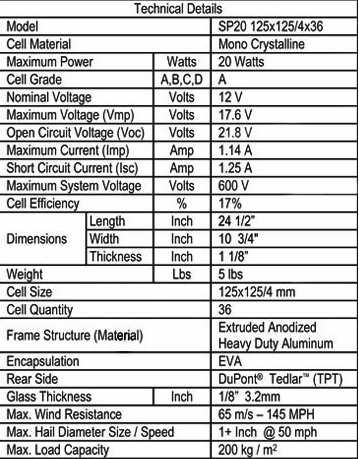 A technical specification (backside of a solar panel) given below. Like Nominal voltage, Maximum Voltage, Open circuit Voltage, Maximum Current, Short Circuit Current, Maximum System Voltage, and Maximum Power. Maximum Power: it means it can deliver maximum 20 Watts electricity. If we need total 100 Watts then we need to setup 5 panel in parallel or series (depend on design). Maximum Current: It means the maximum output current. 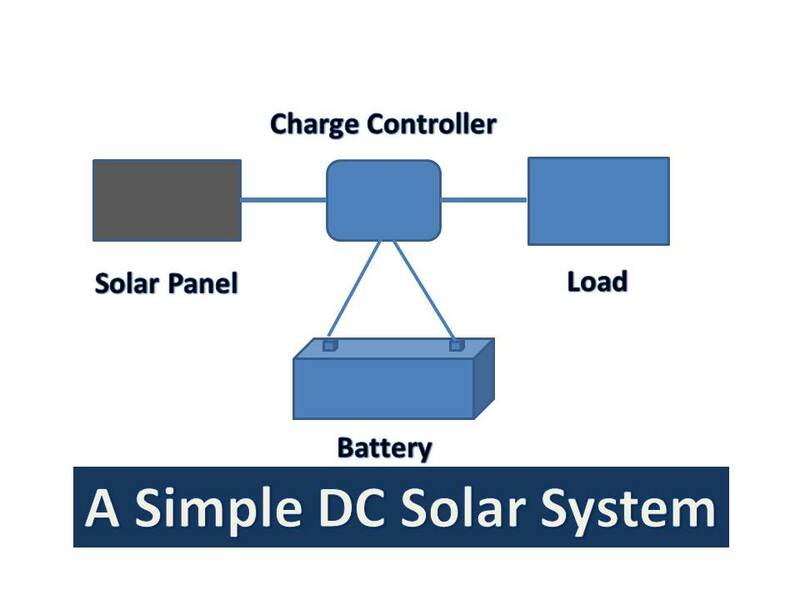 Short Circuit Current: It means the current of short circuit of solar panel. Maximum System Voltage: It means that, when we connect solar panel in series then maximum voltage limit is 600V so we could connect (600/17)=35 solar panel in series. Now if he wants 4 hours back up time. To measure the battery ampere for the above load. Battery is needed 12 volt, 14 AH. Here output power is the power we get from solar panel. Input power is the light fall in solar panel. The light comes from sun in earth surface is 1M2=1KW.